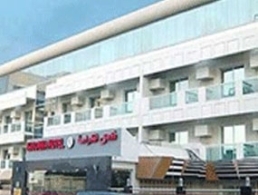 Karama Hotel is not a typical three-star accommodation in Dubai. From a superb line-up of facilities to competent services, the hotel is beyond its league. Have a romantic dinner afloat the Dubai Creek via our Asya Dhow Cruise package or experience gratifying Ayurvedic massages. We also provide city tours, and transfers to the beach and airport. Our location is also something to rave about, especially as it guarantees opulent guestrooms near Bur Dubai, malls, and restaurants.